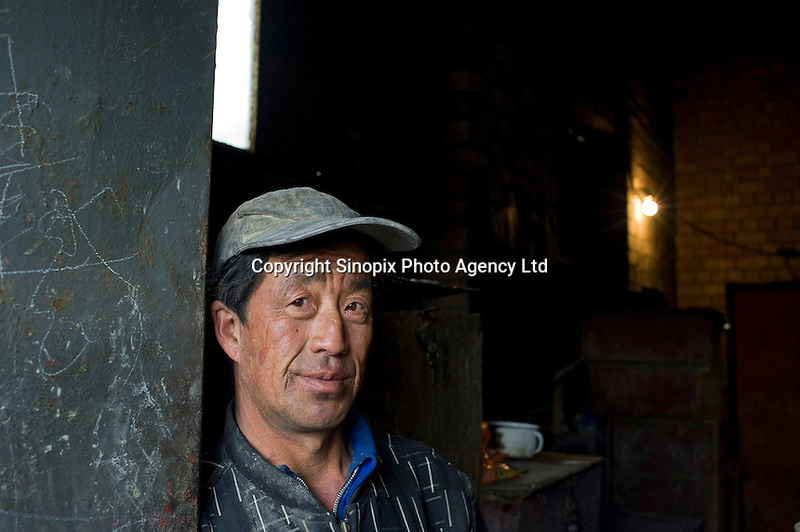 Worker Guo Fu Qiang at a private "rare earth" processing plants in Guyan County about 60 km from Bayan Obo, Inner Mongolia. China produces accounts for some 97% of rare earth consumed world-wide. The "rare earth elements" are a group of 17 elements that are essential in 25% of modern technology including cell phones, computer hard discs, and electric motors and inparticular green technology such as electric batteries and wind turbines. China yesterday, 23 September 2010, stopped trading rare earth with Japan, who rely on Chinese imports for its high tech industry, over a territorial dispute. ..